How much do barricade covers cost? What measurements do I need in order to get a quote for custom barricade covers? What type of materials are barricade covers made out of? 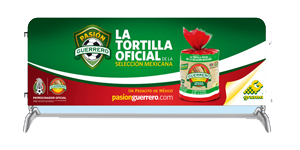 Picture This Advertising can create a barricade cover out of almost any type of fabric.Most commonly the barricade graphics are produced on vinyl, polyester, denier nylon, or Sunbrella fabrics. However, we can do many more such as one client needed custom covers made out of denim. Are their limitations on the number of colors that can be printed? 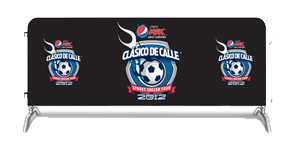 No we can produce anything from blank or single color imprint to full color graphics. Can I have just blank barricade jackets? Yes, we offer blank covers in a variety of different colors and are less expensive then printed units. What is the best material to have a barricade cover made of? As almost anything else it depends on what you application and use will be of the covers. We believe you get the best buy for your dollar out of full color digital print on 13oz vinyl. Are there options for a continues barricade covers? 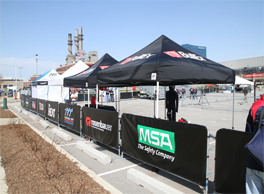 Yes, we offer a couple of options for your barricade covers to be one long continues run so that there are no breaks in your graphics between each barricade. We offer this by placing hook and loop velcro strips on both sides of a cover that can attach to the next neigboring cover. 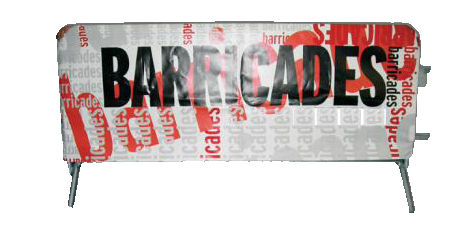 How are the barricade graphics printed? Depending upon the fabric and number of units required we will suggest different options in the printing of your custom barricades. Typically Full Digital Printing is used for vinyl barricade covers and screen printing is used for polyester or umbrella graphics. I’ve seen some barricades with the corners exposed and others where the top corners of the barricades are covered. Which is best? It all depends on what you like the looks of. We prefer to give a more secure fit and cover the comers by sewing the comer pockets. How do the jackets fit over the barricades? We place grommets along the bottom of your jackets so that tie straps can be used to pull the edges together. The sides will have Velcro straps sewn in allowing easy securing. Can I have different graphics on each side? 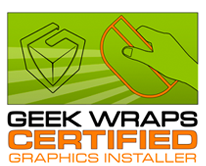 Yes, in fact, we recommend many of our clients use different graphics to be printed on each side. This will allow you to swap sides A and B to be faced in one direction to give a more dramatic appearance while spending a minimum amount more. Are there any set up fees for the art to have a barricade cover produced? No, we are happy do have an opportunity to do business with you and do not believe in nickel and dimming our customers for art set up. We have our own graphic design capabilities, can you provide a template for us to produce our own graphics? Certainly, we only need to know the dimensions of your barricades and we can provide a template at no charge, however we are happy to help with graphics anytime it’s needed. Do you provide barricade covers to other countries other then the United States. Yes, we are happy to ship to anywhere in the world. How can we change our graphics to represent different sponsors or a change in wording? 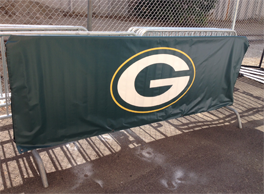 If you have a need to periodically change the graphics of your barricade covers some of our clients prefer to have an empty space on their covers where they can place Velcro strips. These strips can now offer easy application and removal of different vinyl graphics that can be interchanged as needed. What is better – Barricade Covers or Windscreens? Again it all depends on your needs and your budget for these needs. 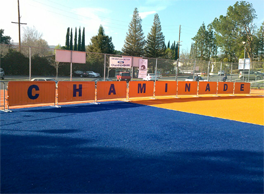 We offer both, barricade covers do provide graphics with more detail and impact while windscreens are less expensive and faster to apply.